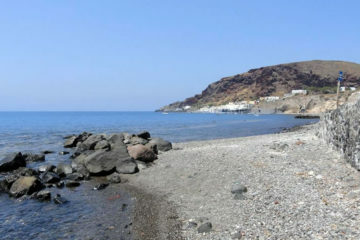 Cape of Exomitis is located at the south end of Santorini. 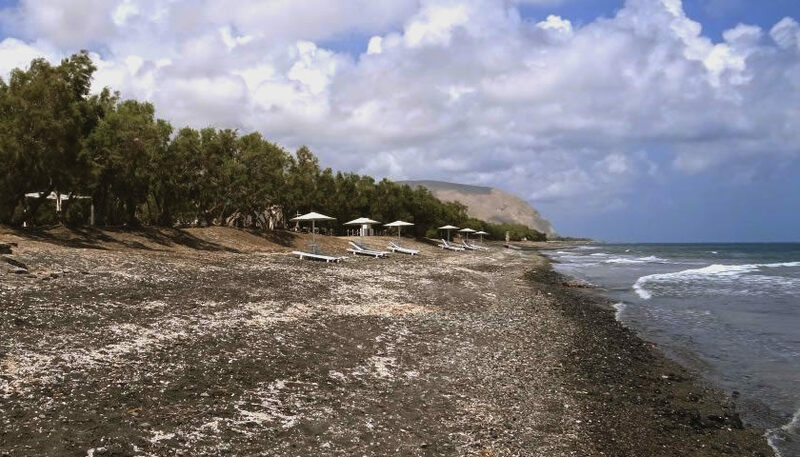 This is the place where the long black sandy beach that starts from Perissa village ends after approximately 3.5km. 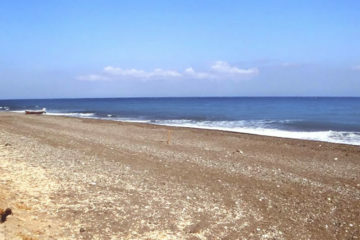 Exomitis beach is located near Exomitis village, after Agios Georgios beach and unlike the other beaches of the southeast coast, Perissa, Perivolos and Agios Georgios, Exomitis beach is very quiet and not organized. It is ideal for those looking for an isolated beach at this part of the island. 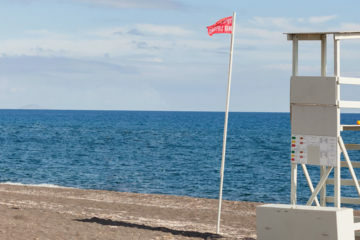 The distance from Fira is about 13km and you can easily access it by car. You can reach it on foot, in a few minutes, from Agios Georgios beach.